What an exciting time to be a property owner in Central Ohio! With the rental market in Columbus, Ohio, and beyond, heating up, it’s no surprise that property owners are taking a closer look at their property’s income potential. You might be considering the possibility of leasing or renting out your property; however, make sure you understand everything that is involved in property management, first. Leasing your property is not as simple as finding a tenant and collecting rent. It involves contracts, maintenance, and much more. 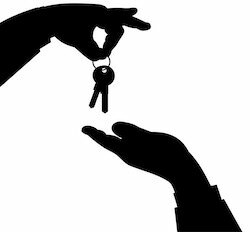 Incomplete Tenant Screening and Interviewing: The phrase “trust your gut” doesn’t necessarily apply when verifying that tenants will meet their monthly rental obligations. Make sure you verify credit and income. This authentication may cost you, but it is worth the peace-of-mind. And, ask for references from past landlords. Due diligence, especially in the beginning of the relationship, is immensely important to a successful landlord-tenant relationship. Generic Lease Agreement: Don’t just download a lease agreement from a simple Google search. The lease agreement must include specifics of your property and the laws of your municipality. Even if you do use a template you found online, hire an attorney to review the details and revise. Nonexistent or Poorly Written Property Management Agreement: Most property managers combine a property management agreement in with a lease agreement, but it should be two different documents. A property management agreement outlines the specific roles and responsibilities of both the owner and tenant. If you require the tenant to maintain the landscaping, for example, put it in there. This is your investment; make sure you protect it! Mishandling Security Deposit: Ohio property owners must pay interest on most security deposits taken from tenants who rent for at least six months. As such, it is required that you deposit the security in a separate interest-bearing bank account within 30 days. Co-mingling the deposits with your own funds will not only cause you a headache when figuring out the interest you’ll need to pay your tenant upon vacancy, but it is also against some state laws. Invisible Landlord-Tenant Relationship: Go the extra mile with your tenant. If you’re not visible to your tenant, your tenant may not feel much responsibility to your property. Make a point to wish your tenant, “Happy Birthday,” or send them a special bottle of wine on the holidays. These small gestures will go a long way. Tenant Responsibility for Repairs: Why risk further damage to your property by allowing your tenant to take responsibility for a clogged drain or broken floorboard? The tenant may look for the least expensive route of fixing the issue, which can cause reciprocal damage, devalue your property, and inhibit you from renting to your next tenants. Not Inspecting Property On an Annual Basis: Whether your tenant occupies your property for a year or 10 years, make an annual visit to look at the property – both inside and outside. It’s a good opportunity to check smoke and carbon dioxide detectors, appliances, heating/cooling system, and general maintenance. At The Robert Weiler Company, we understand the intricacies of property management. Owning a piece of commercial real estate in Columbus, Ohio is only half of the equation. Tenants are what make a property profitable. Since 1938, we have been at the forefront of shaping the Columbus real estate community. And we look forward to continue making the Columbus region a destination for families and businesses. That means ensuring our tenants are safe and comfortable. No property is too big or too small for us handle. And, we do it all – from tenant screenings to maintenance to promotion. Find out more about our property managers, and learn how a professional management company can help you; call us today at 614-221-4286.